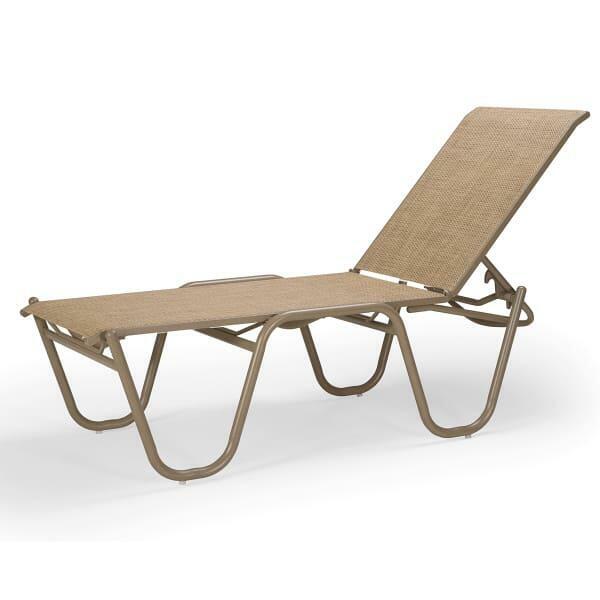 The Reliance High Bed Sling Chaise Lounge aims to give owners something to rely on. So, it's made of materials that are renowned as all-weather durable. The sling is made for the outdoors, rain or shine, and should anything befall the sling to cause its corrosion, it is easily replaced. The frame is made of durable aluminum and a powdercoated finish that also stands up to the four seasons without cracking and peeling. Should you choose to store the lounge chairs during off-seasons, they stack neatly together. The bare bones are laid, and you decide the rest. Choose the frame color and sling color from the Telescope variety. Are you ready for a reliable chaise lounge? Try this one.